Taipei, Taiwan – June, 1, 2017 – Tt eSPORTS, the energetic and powerful challenger reveals the new NEMESIS Switch Optical RGB Gaming Mouse with its exclusive patented key switching system for an enhanced FPS/RTS/MOBA/MMO gaming experience. Enthusiasts can customize up to 12 switch keys to suit different playing styles, hand sizes, and for enhanced ergonomic comfort. 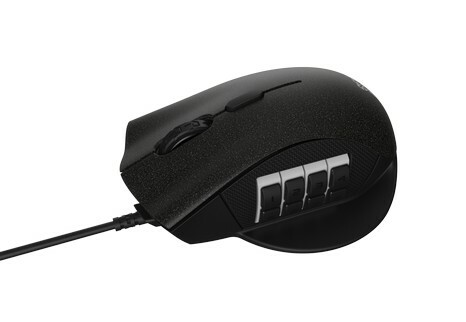 The use of Japanese branded OMRON switches with a 50-million click lifespan provides durable, consistent, and accurate tactile feel with each click for maximum responsiveness; and the use of a high quality gaming grade PMW3360 optical sensor with up to 12000 DPI provides precision gaming to enthusiasts, whilst the utilization of 16.8million RGB colors lets users light up their battles. 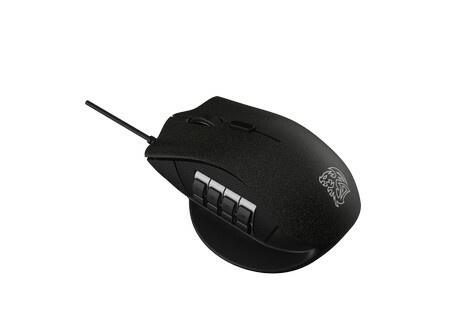 Users can also use the downloadable software to further customize macros, lighting effects, colors and button controls to suit their playing style to maximize their performance in-game. 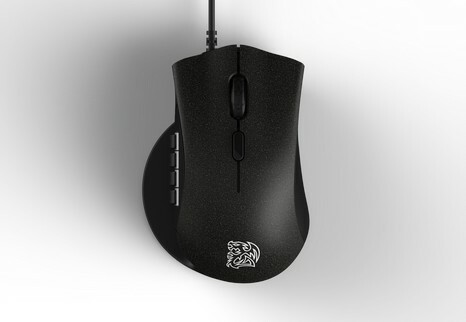 Tt eSPORTS NEMESIS Switch Optical RGB Gaming Mouse will be available in the 3rd quarter with suggested price of USD 49.99, the price varies by country and region, please contact the local Thermaltake sales representative for further information. 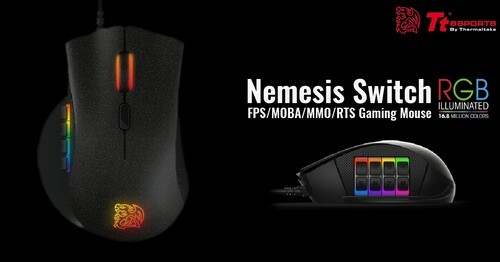 The NEMESIS Switch Optical RGB Gaming Mouse is on display at the COMPUTEX Taipei 2017, during May 30th (Tue) – June 3rd (Sat) in TWTC Nangang Exhibition Hall (4th floor, booth number N104); we look forward to your visit! The patented design key switching system allows for customization of up to 12 switch keys, allowing users full flexibility to customize controls on their favorite games. 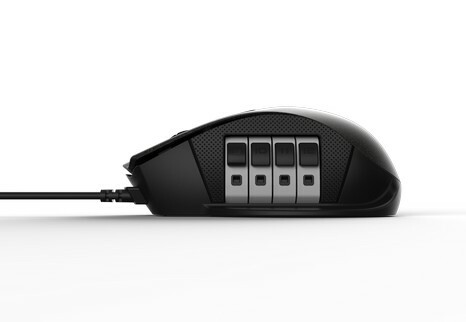 Each of the 12 buttons on the NEMESIS Switch Optical RGB Gaming Mouse can be fully remapped via the gaming software and designated macros saved to onboard memory for use on any system at any time.